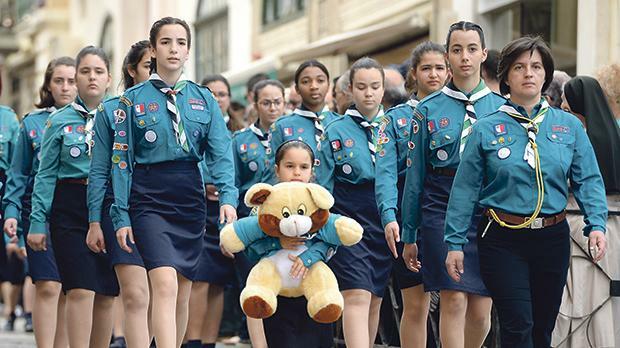 The Scout Association of Malta and The Malta Girl Guides joined forces to organise this year’s Scouts and Guides parade in Valletta on Sunday. Mass was celebrated at 9am at the Catholic Institute in Floriana and led by Gozo Bishop Mario Grech. All the Scout and Guide groups started their march on the Granaries and near the Mall Garden. The parade, which this year was led by the Gozo district, followed by the north, south and central districts, then made its way into Valletta, with all the groups marching in uniform behind the colours of the Maltese Scout and Guide flags. 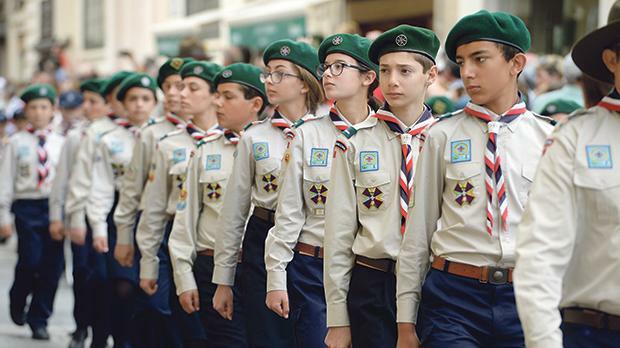 President Marie-Louise Coleiro Preca took the salute of all the Scout and Guide groups near the Grand Master’s Palace in St George’s Square, Valletta. The Scouts parading through Valletta yesterday.